Dark Souls II - How to Beat the Duke's Dear Freja Dark Souls II - How to Beat the Duke's Dear Freja Written by Player Y. Rate this item. 100% (1 Vote) Spooky spiders. Like it’s a surprise there are some in Dark Souls. The spookiest of them all is the Duke’s Dear Freja. A massive spider that releases even more spiders. Fun. The first and smartest thing to do about going into the fight... That's because infusion+buff is the way to go with the lost sinner's sword. And like they said, Having sin decreases it's damage. 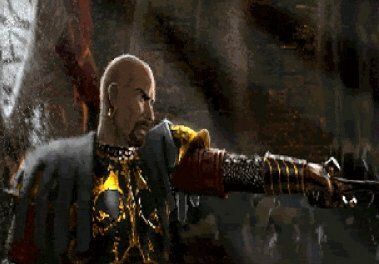 Using the crushed eye orb and killing "that" npc will give you sin. Lucatiel Achievement in Dark Souls II: Inherit equipment from Lucatiel of Mirrah - worth 30 GamerScore. Find guides to this achievement here.... Just beat Dark Souls 2 tonight very excited to have smashed my way through this great game, massive hammers and an old friends armor helped me on the way to "I Did It!" 22/03/2014 · Ok, the title may be stretching it (the Lost Sinner isn't easy no matter what you do), but there is a way to make it *easier*. If you go and destroy the Belfry Gargoyles first, you can light up... - Lost Sinner does not respawn his adds believe, ot at least not fast enough on NG4. 1-2 lightning bolts or anything else and they roll over. You just need to make sure that the Sinner does not hit you while you kill the adds. But with magic that is easy. DARK SOULS™ II. All Discussions do i have to kill someone/something before that or get a special item? #2. vidlo. Jun 27, 2014 @ 8:29am You have to choose the "Move path" option in her menu. #3. xlightningx. Jun 27, 2014 @ 8:30am oh i see it now,i am so stupid,i thought this had to do with some convent thanks!!! is this the "right way" after the lost sinner area? #4. Evertrill. Jun 27... 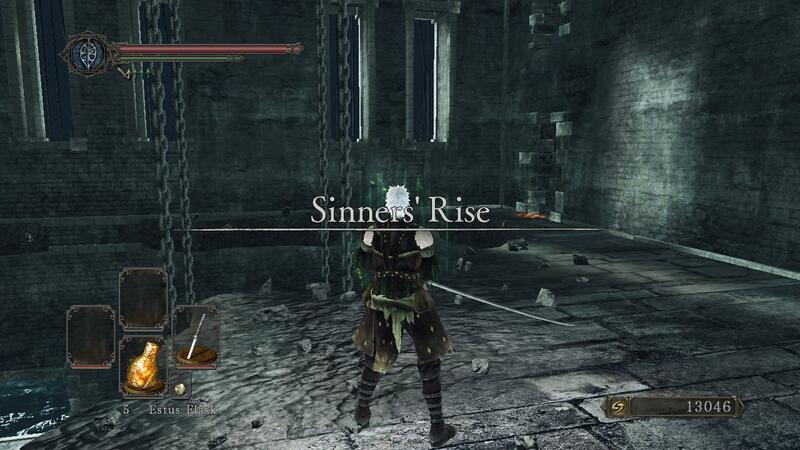 Dark Souls 2 - Sinner's Rise, key, Estus Flask Shard At the end of Sinner's Rise lies one of the toughest fights we've encountered in Dark Souls 2 so far. We'll help you get to it in one piece. 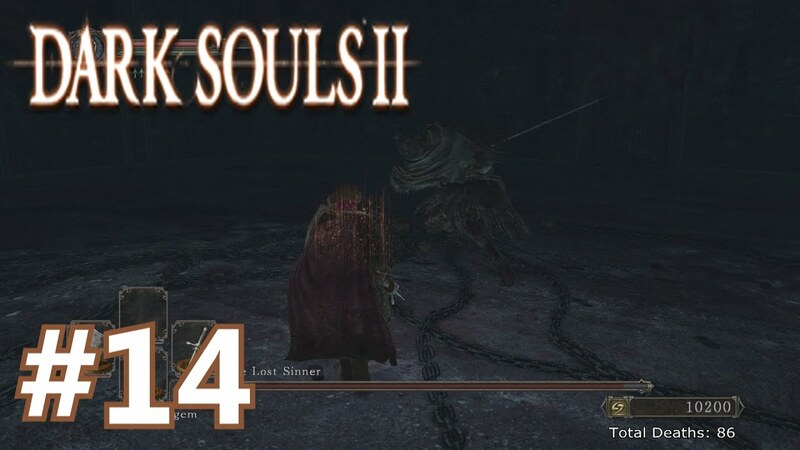 Dark Souls 2 - Sinner's Rise, key, Estus Flask Shard At the end of Sinner's Rise lies one of the toughest fights we've encountered in Dark Souls 2 so far. We'll help you get to it in one piece.